Many couples decide to give their wedding an original look that will make it one of a kind and memorable to all of their guests. An in their task to achieve this many couples decide to host a theme wedding. 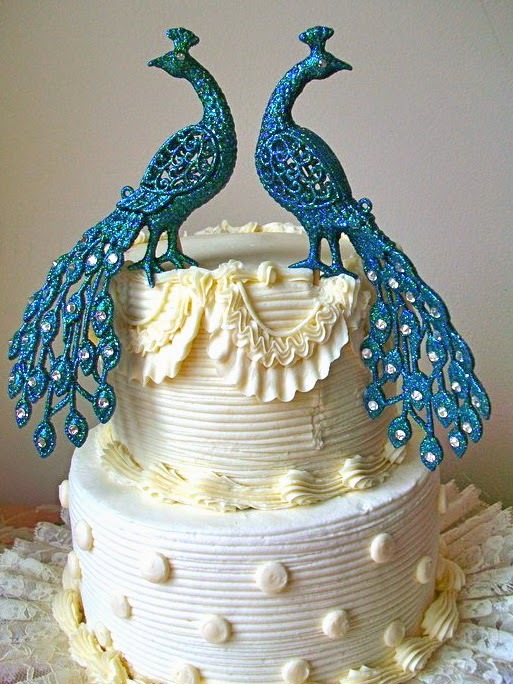 While there are as many themes as couples getting hitch each year, one of the most popular themes nowadays is the peacock wedding theme. The main colors for this theme are truly gorgeous and couples just adore celebrating and giving this theme their own signature. 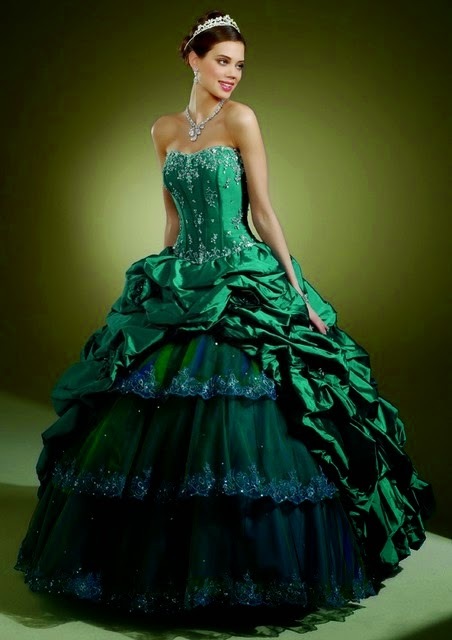 Blues and greens in different shades are usually combined with silver, white and gold. 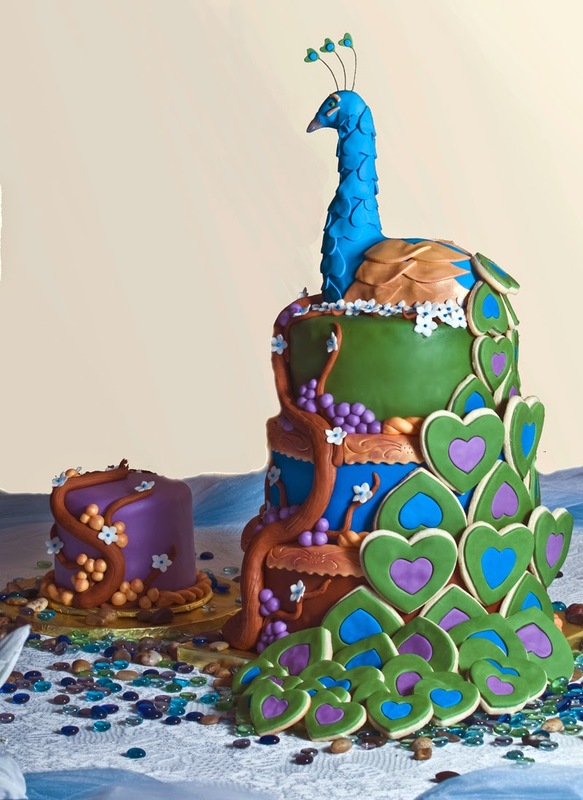 But also the peacock theme can take a very different look with non traditional peacock colors. 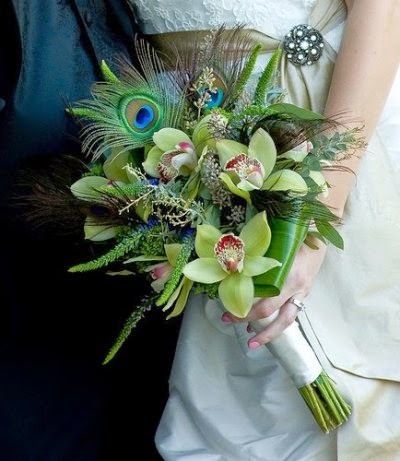 Just using the peacock design, more couples decide to use a different palette. 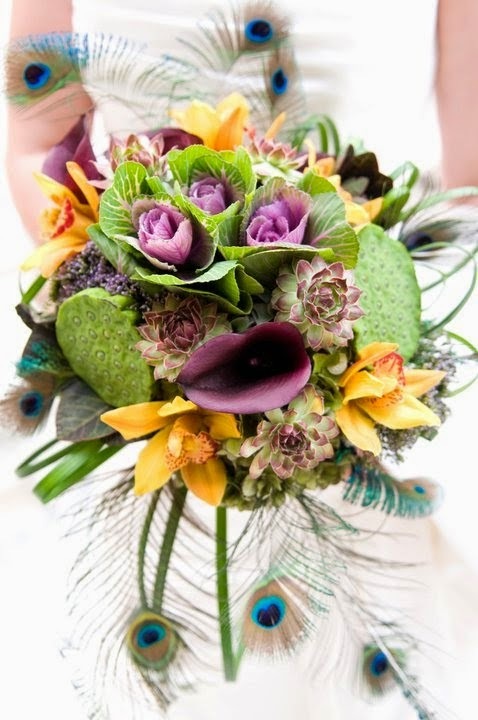 Pinks, purples, lavenders, yellow and red are the most popular unconventional colors used for a peacock theme wedding. 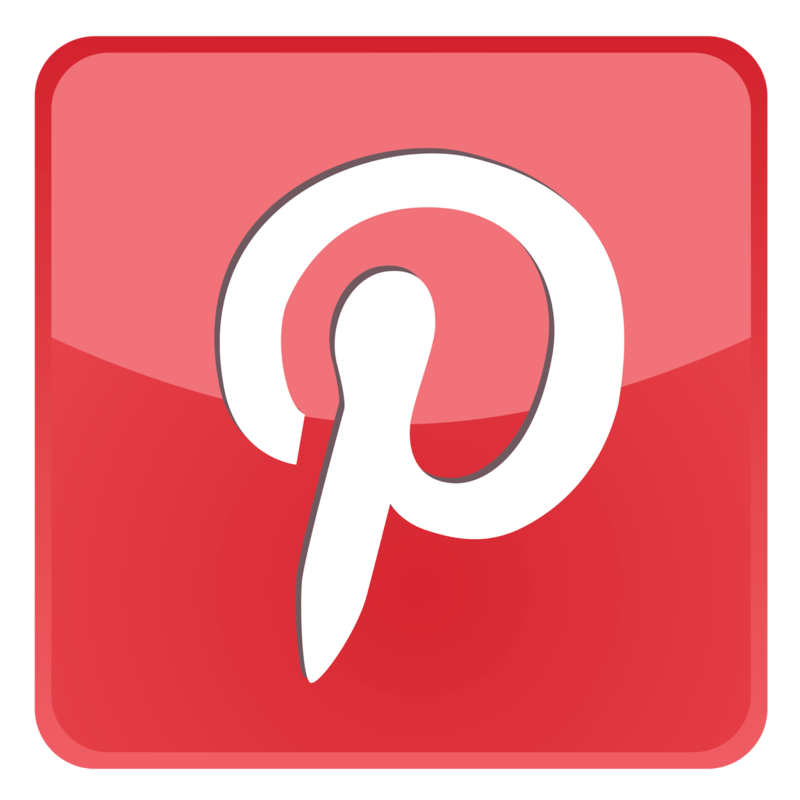 And this theme adapts to almost any type of celebration, whether you want to have a vintage or modern look. 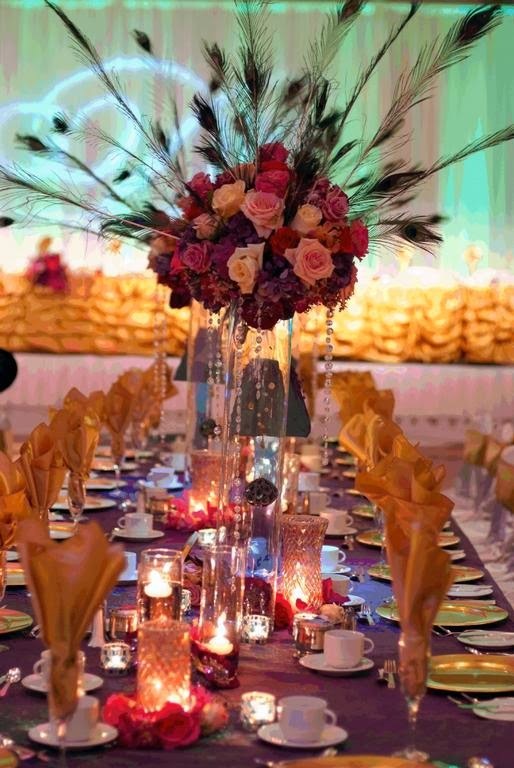 Wedding decorations, attire and favors are just some of the areas where you can make the theme come to life. Here are 10 quick ideas on how to incorporate the theme to your wedding celebration. 1. 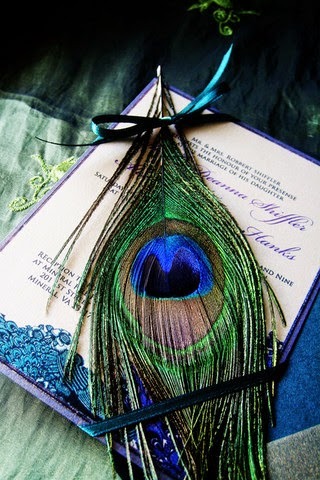 Use peacock feathers to enhance a simple wedding invitation design. 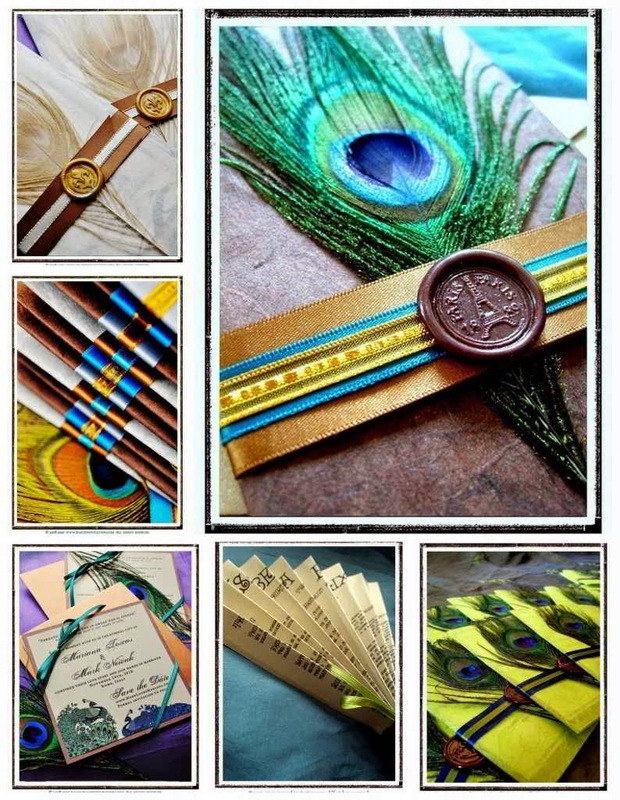 Tie them to the invitation with a silk ribbon or glue them at a corner for a creative look. 2. 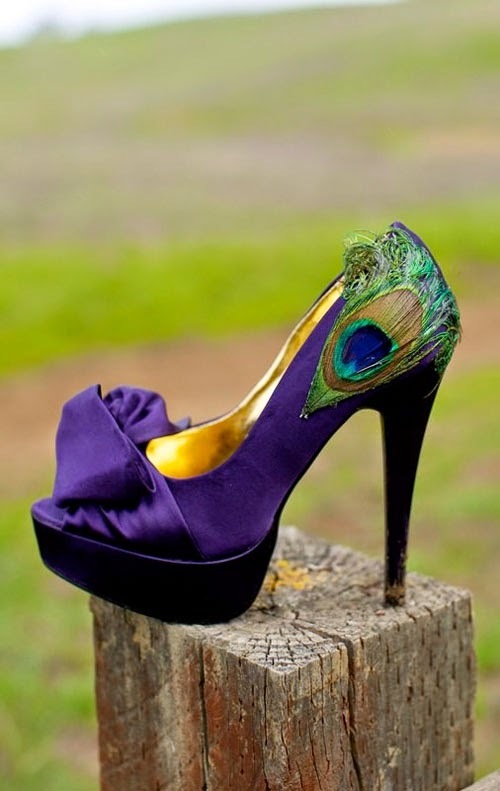 Wear a peacock inspired shoe. 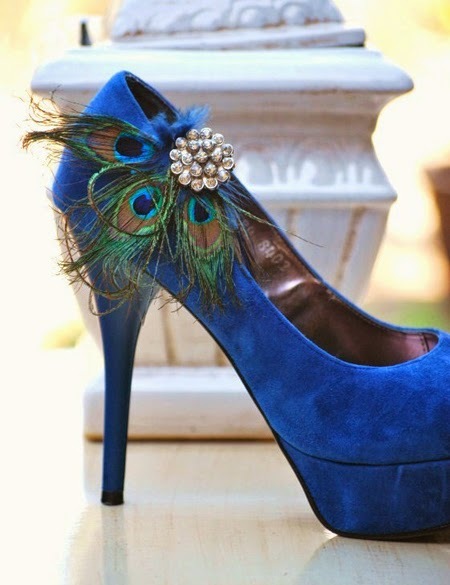 From the painted ones to those that include peacock feathers around your ankle or over the toe area, they are a great item to enhance your bridal look. 3. 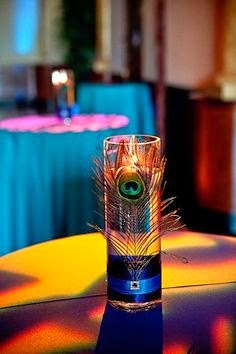 Have a peacock feather centerpiece. From the simple single long peacock feather in a vase to more elaborated arrangements combining feathers and flowers, you are sure to have a unique centerpiece with this item. 4. 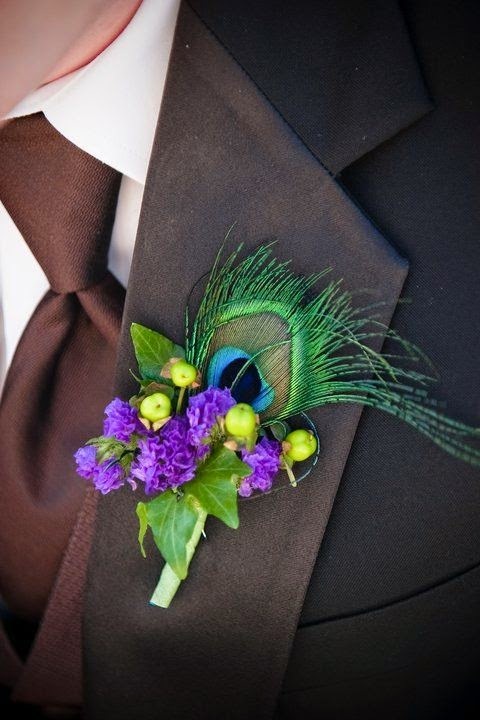 Carry a flower bouquet with some peacock feathers included. 8. 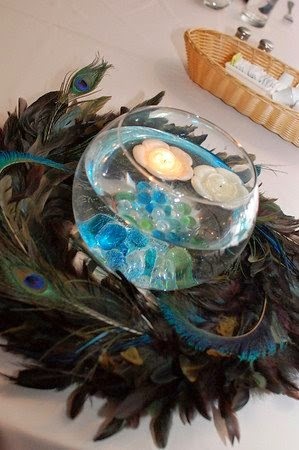 Make a candle arrangement suitable for the theme by adding a peacock feather string at their base. 9. 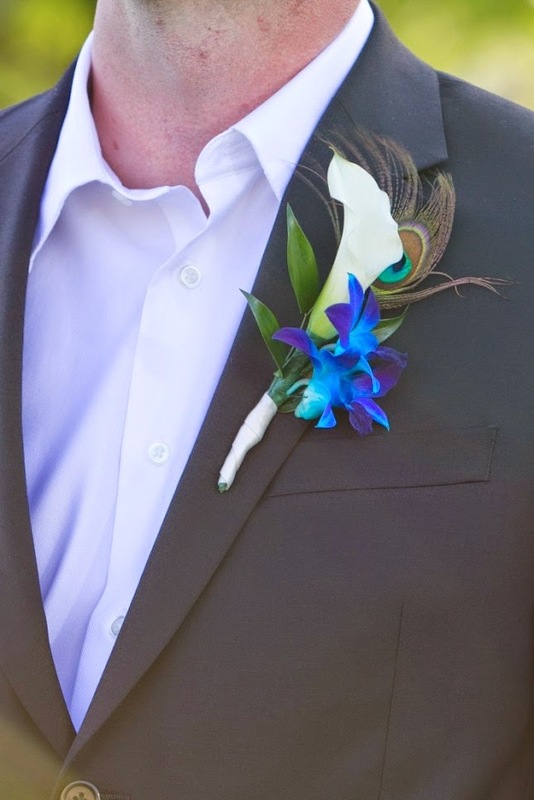 Have your groom wear a peacock feather as an original boutonniere. 10. 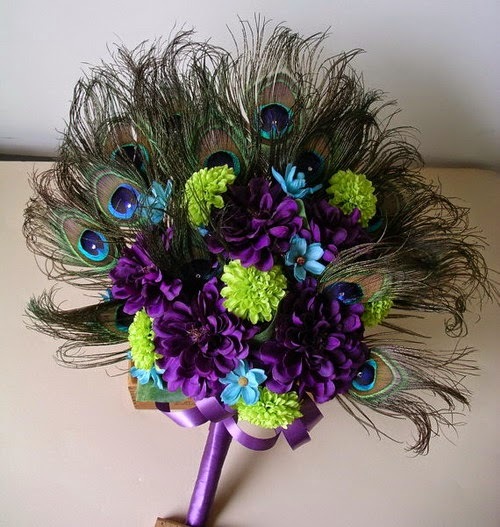 If your peacock theme wedding happens around Christmas tis the season by creating an original arrangement placing the classic ball ornament in peacock like colors inside a tall glass vase. 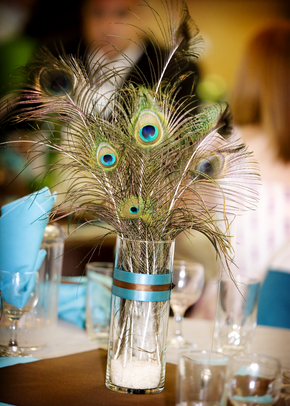 Just with attention to detail you can create an spectacular look for your wedding day. Incorporate one or more of these ideas to have the wedding you always dreamt of.